Factory Style bluetooth handsfree at a fraction of the cost. All versions utilise a "hideaway" module that integrate into existing factory navigation, radio and multifunction display in the instrument cluster. A neat way of adding Bluetooth connectivity to Mercedes vehicles without visible bolt-on displays and controls. The hands-free can be controlled from the multi-function radio screen, the radio telephone buttons or from the steering-wheel telephone buttons. 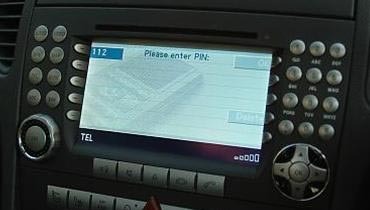 The phone menu; call lists, the phonebook and incoming calls are shown on the navigation or multi-function screen and on the instrument cluster FIS screen. 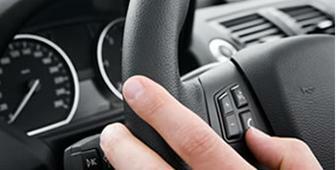 The FISCON Pro Bluetooth handsfree kit works in conjunction with your radio screen. The call lists, the phonebook and incomming calls are shown on the multi-function radio screen and on the instrument cluster FIS screen. The hands free can be controlled from the radio telephone buttons or from the multi-function steering wheel buttons if installed. With the steering-wheel buttons you can navigate through the telephone menus and use the functions. NOTE 1: Not suitable for head unit COMAND NTG 2.5. NOTE 2: After installation the vehicle needs to be coded. Please contact a Mercedes dealer or garage with diagnostic software. NOTE 3: If you have a UHI connector in the armrest then please purchase either the MB-4 Bluetooth adapters instead.